I know there are only 3 on this one, but this is it! Christmas is in two days!!! Happy wrapping and gift giving! Did you miss the first week , second week , third week or forth week of tags? If you want to see them as they come out (one a day until the 25th) follow my Facebook page! 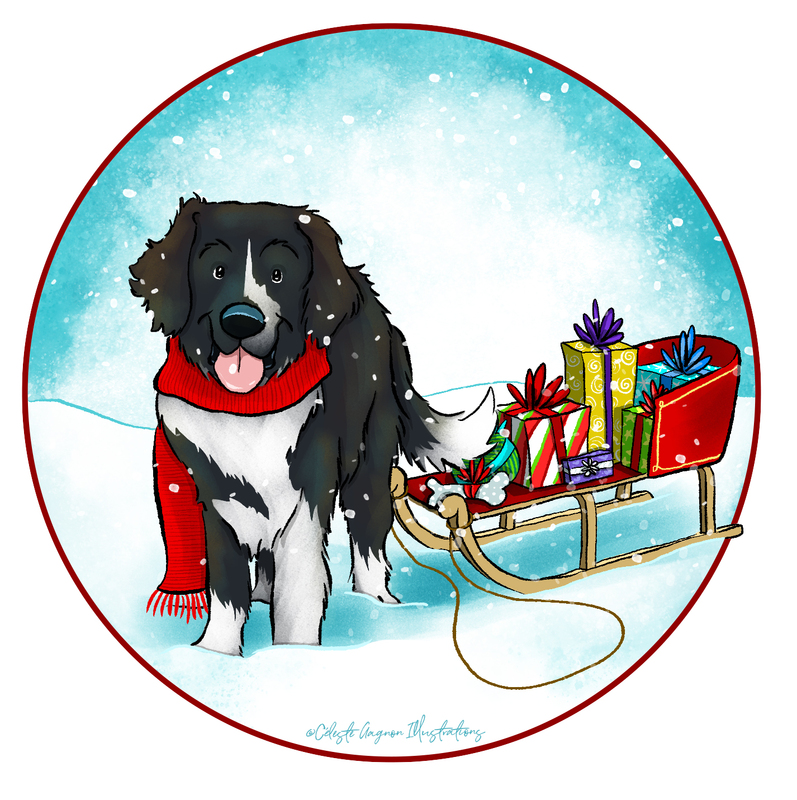 There will be two more illustrations on my facebook page for Christmas eve and Christmas day but they are not gift tags. I hope you have enjoyed seeing and using these tags as much I enjoyed making them! To print, just save the image to your desktop and print.